Ten days later, July 28, 1921, Armatage inaugurated a campaign to reduce litter in Minneapolis parks. She pointed out that the city spent nearly $8,000 a year cleaning up park litter, mostly on Mondays after huge park attendance on Sundays, although at popular Loring Park the cleanup often extended into Tuesday. This event also dealt with litter, but much more with the perception of capabilities, roles and rights. It was another first, another start. It was the first action by a woman as a park commissioner. It was Maude Armatage sticking her toes in the water after her swearing-in as a park commissioner on July 6, finding her place as the first female commissioner in the park board’s 38-year history. She would also be the only woman on the park board during her 30 years of service as an elected park commissioner. She was well-placed to call on other “housekeepers like Mrs. Armatage,” as the newspaper put it, to help the men solve problems. 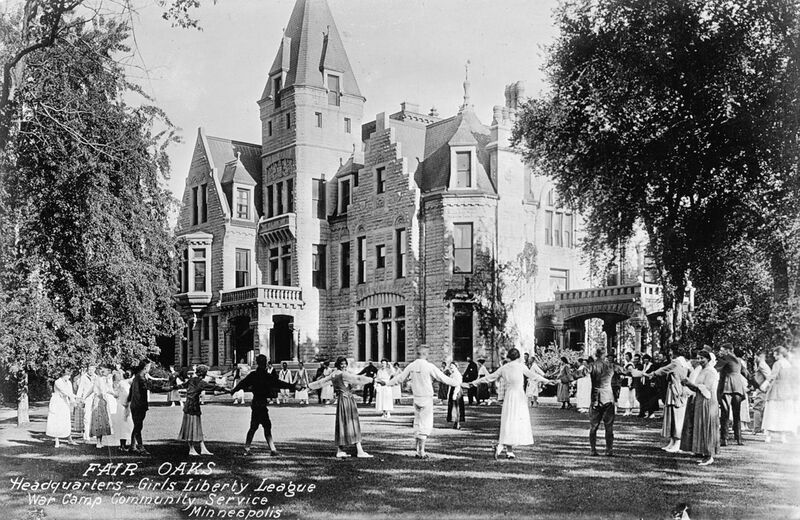 In addition to being a “housekeeper” Armatage had been a director of the Woman’s Club, chair of the recreation committee of the Women’s Welfare League, which put her in charge of operating the Washburn Fair Oaks mansion under an agreement with the park board, and founder of Camp Fire Girls (similar to Girl Scouts) in Minneapolis and a national board member of that organization. 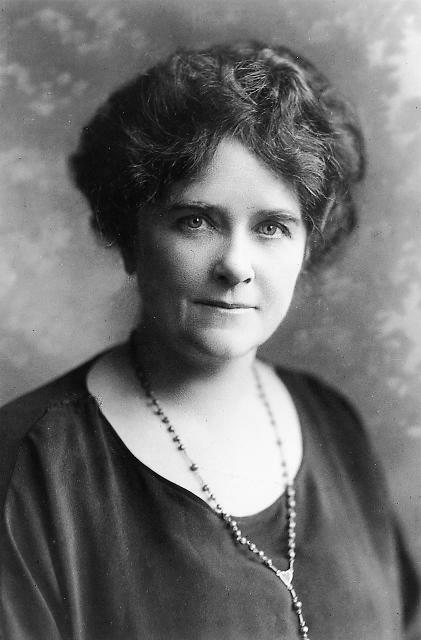 She had been a delegate to the National Council of Social Work and was an active fundraiser for many organizations and causes, from the Minneapolis YWCA to national womans suffrage campaigns to a group that supported the children of French aviators who had died in World War I. And she had taught Sunday School at Hennepin Avenue Methodist Church and had been active in the church’s Christian Endeavor Society. I don’t know how the park “housecleaning” turned out that year, but I do know that during her thirty years as an elected park commissioner litter was not the only problem Armatage “could help the men to solve.” From 1926, when Minneapolis grew significantly by annexing part of Richfield, she became a leading advocate for cooperation between the park board and school board to develop new facilities. Her objective was to avoid duplication of costs and efforts. After the interruptions of the Great Depression and World War II, when very few new park or school projects were attempted, Armatage succeeded in getting the park and school boards to adopt a joint resolution in 1948 to develop new facilities together. The results were Waite Park and School, Armatage Park and School, Kenny Park and School and others. In the late 1950s and early 1960s, other women finally followed Armatage as park commissioners. 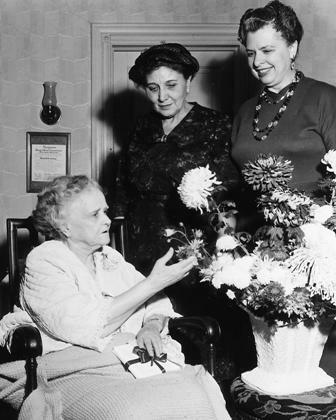 Lorna Phillips, Inez Crimmins and Beverly Smerling all became park commissioners from 1957 to 1963. And the world got more serious about litter, pollution and the environment, too. It’s not a subject I’ve looked into, but I wonder if there are connections between an increasing awareness of the stewardship of our planet and the increasing roles of women in many parts of our society. Maybe it’s not a coincidence that two groundbreaking books, Rachel Carson’s Silent Spring (1962) and Betty Friedan’s The Feminine Mystique (1963), were published only a year apart. At a family gathering a week ago we were talking about change — social, political, technological, economic — and my Dad, now in his eighties, noted that his mother was 36 before she was able to vote. For some reason, a short time later while reflecting on that conversation, I flashed back to an image a few years old. After the collapse of the I-35W bridge in Minneapolis, the Mississippi River above the Ford Dam was lowered to facilitate recovery of vehicles and debris from the water. An e-mail from Friends of the Mississippi River suggested that with the river a few feet below normal it was an ideal time to pick up litter along the river — and also get a better view of the remains of the Meeker Island Dam. My Dad and I grabbed a handful of heavy-duty trash bags and headed for the east river bank near the old dam. We collected a few bags of litter, glad we had worn gloves, and imagined ourselves as Tom, Huck, Jim and Joe. We were awed by the river, as most people are. We tried to envision the river before the dams, the way Horace Cleveland first saw it and pleaded for the preservation of those wild banks soaring above us. A week from tomorrow is Earth Day and the park board, its many business partners and volunteers will participate in cleaning up our parks. That’s probably a good time to remember Patrolman Hollison, Maude Armatage, Horace Cleveland and a lot of other people who have promoted parks, tidiness, or both together. It’s also a good time to remember Emma Smith, my grandmother who couldn’t vote until she was 36. We’ve made some progress. There’s more to do. « What Happened to Minneapolis-made Cigars?